Grand Velas offers an escape to the most alluring coastal locales throughout Mexico featuring contemporary accommodations, world-class spas, gourmet restaurants, and unique experiences. Without forgoing an ounce of luxury, a getaway at Grand Velas is just as much about you than it is for the kids. And if Grand Velas wasn't already on your radar, it most definitely should be now! The reigning luxury all-inclusive has recently introduced a Baby Concierge that's as good as it gets. 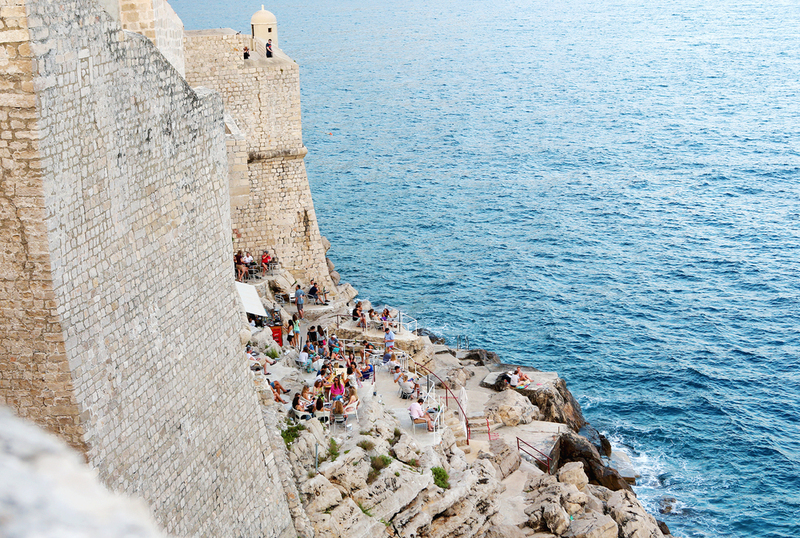 Add it to the laundry-list of reasons why you should go! Get all the details on the Baby Concierge's personalized services and the complimentary amenities your little guest will get as a V.I.P. at each property here. Grand Velas Los Cabos is the place for epic excursions and wonders, facing the brilliant waters of the Gulf of California. 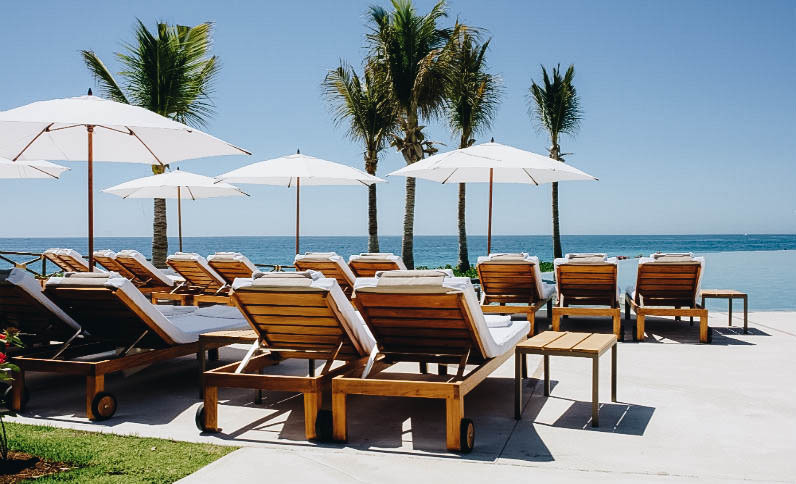 The newest property added to the portfolio, Grand Velas Los Cabos offers breathtaking ocean vistas and features luxury suites in contemporary décor, spa bathrooms, and spacious indoor/outdoor living spaces. 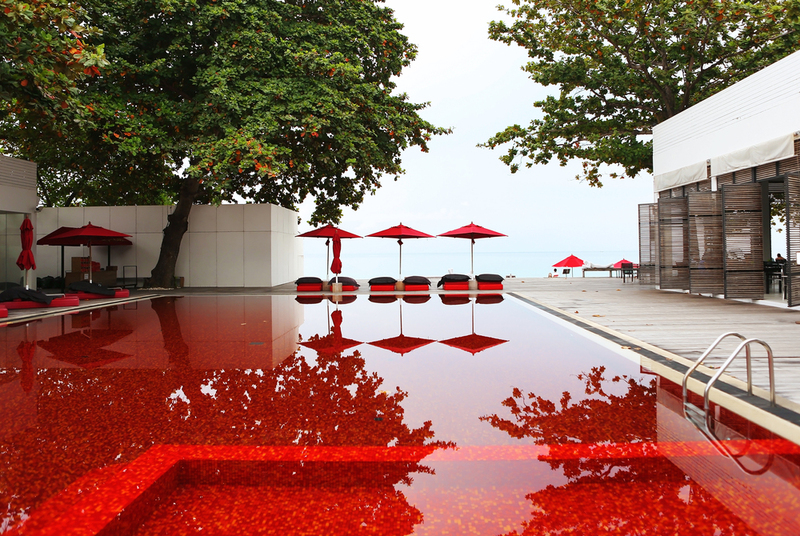 Unwind at the beautiful SE Spa, eat your heart out at the restaurants run by acclaimed international chefs, and indulge in exciting activities that take you from the highest heights to the deepest depths of the ocean. Let your bébés explore the Teen's and Kid's Clubs where fun activities await, while you enjoy a hand-crafted cocktail while floating in one of three infinity pools. Set on the Yucatan Peninsula, Grand Velas Riviera Maya offers the best of all worlds. Escape to acres of white sand beach, mangroves and the Mayan jungle of the Caribbean Coast. The property offers a choice of three magnificent ambiances for accommodations, each of the luxury suites in contemporary Mexican décor feature private terraces with views of the ocean or lush jungle, plunge pools. Feel pampered with private butler service, awaken your spirit with ancient healing rituals at the spa, and savor the flavors of Mexico and the world at restaurants serving creative cuisine and chef-inspired food for the soul. With endless activities, a Kid's Club, and a Teen's Club – guests of all ages are taken care of. Grand Velas Riviera Nayarit is a serene and sensory resort refuge, hugging Banderas Bay in Nuevo Vallarta. Designed with contemporary Mexican architecture and tropical landscapes, Grand Velas Riviera Nayarit is a magnificent Puerto Vallarta resort and spa. Soak up paradise in luxury suites with contemporary décor, spa bathrooms, living and dining spaces, and decadent dining. Awaken to the waves and stunning views of the ocean and Sierra Madre Mountains from your terrace. While your little ones spend the day at the Kid's Club, tee off the legendary fairways of Marina Vallarta and Vista Vallarta golf clubs or indulge at the property's Leading Spa of the World, a refuge with serene spa rooms and relaxation areas, hydrotherapy, and natural body rituals. Or explore the waters with your family and swim with the dolphins, head on kayak adventures, or go kitesurfing over the waves of the bay. 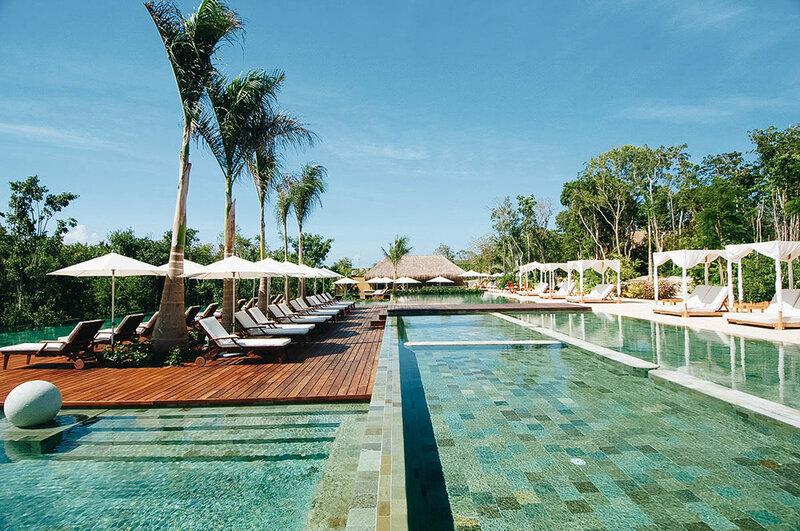 With a serene beach, verdant gardens, infinity pool, and family activities, Grand Velas Riviera Nayarit is a peaceful place to rest and rejuvenate. 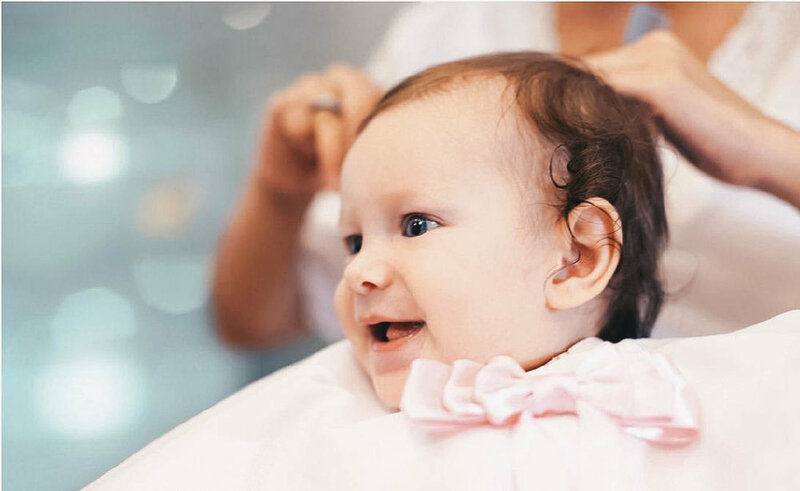 "My First Cut" is another way to pamper little guests and create great family memories; a special first hair cut in a luxurious setting with all amenities for total comfort. This service comes with a certificate celebrating this important milestone. "My First Cut" has an additional charge and is available for children of all ages.